Initially planning to be an archaeologist, Glenn Standring decided film was his future after a close encounter with a documentary crew, while on a dig in Asia. Standring was seven metres down a dirty excavation pit; the film crew were passing through, en route to Angkor Watt. A light bulb went off in Standring's head. He went back and finished his archeology and philosophy degree (gaining first class honours). Then he set about winning a place at Christchurch's Ilam art school, so that he could get his hands on some proper cameras. Standring's first short was 1992's Zerographic, a love story built around man, woman and photocopier. Flying Nun legend David Kilgour supplied the soundtrack. 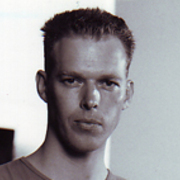 His third year film, noirish collage Lenny Minute One (starring fellow student Francis Van Hout) originally scored him a B; Standring not only successfully appealed for a higher mark, but managed to get the film selected for competition in Cannes in 1993. In his final year of study Standring did work experience in Wellington, where he worked on a magazine show shot at Avalon. But it was the stylish, pioneering computer animation of Lenny Minute One that opened doors. The film won the attention of Wellington producer Dave Gibson, who was considering adding animated segments to comedy show Skitz. Standring worked on special effects sequences and the opening credits of a number of Gibson Group shows. He even began directing some of Skitz's live-action sketches. To the surprise of some of his Skitz teammates, he then turned down the certainties of a regular pay-packet to develop feature projects. Gibson pulled together resources for the longtime horror fan to direct The Irrefutable Truth About Demons (2000). Released through company offshoot First Sun, the film was shot in six weeks, much of it on the streets of Wellington after dark. Demons revolves around an anthropology lecturer fighting off the attentions of the leader of a cult (Jonathon Hendry). Karl Urban fresh off a role in Lord of the Rings, played the central role of the skeptic finding his beliefs under threat. Demons proved to be the most successful New Zealand feature made that year: selling to 48 countries, and winning a lucrative DVD distribution deal in the USA. Reviewers generally concurred in assessing Demons as a promising debut. Variety's David Rooney wrote that Standring "conjures a creepy, brooding atmosphere and enough thrills to keep young horror enthusiasts glued". Standring then relocated to Dunedin to concentrate on scriptwriting. His next chance to direct a feature involved another original story which incorporated fantastical elements. Perfect Creature (2006) attracted considerable resources, including international financing and talent. The film was a revisionist vampire story set in an alternative New Zealand, in which a good vampire turned bad. Standring read up on religion, genetics and alchemy, and was keen to explore the idea of the kind of world you would get "if science hadn't split from religion, if they'd stayed bound together". The cast included Dougray Scott (Mission Impossible II), Saffron Burrows (Enigma), and Kiwi Scott Wills (Apron Strings). Tony Timpone, longtime editor of American horror magazine Fangoria, called the result "the most unique vampire film I’ve ever seen, a cross between Alan Moore, Bram Stoker and Charles Dickens.” Local reviewer Mark Broatch gave it a four star review in the Sunday Star-Times, praising it for having "mood to burn". Perfect Creature sold to numerous territories. It was also acquired for US distribution by Twentieth Century Fox, making it the first NZFC-backed feature to acquire a deal with a major studio (though after extended dithering, the company eventually dropped plans for Stateside theatrical release). Standring went on to write the script for Toa Fraser-directed action drama The Dead Lands. Standring is also one of the producers. The film stars Boy discovery James Rolleston as the son of a Māori chieftain, who seeks out a mythical warrior (Lawrence Makoare) while on a mission to avenge his family's murder. The cast also includes Rena Owen and George Henare. After the film's debut at the Toronto Film Festival, Hollywood Reporter reviewer Deborah Young praised the respect that Standring and Fraser "accord the Māori people and their traditions", and called The Dead Lands "a remarkable film experience". Standring and director Fraser will reconvene for 6 Days, based on the 1980 Iranian embassy siege in London. Standring has other scripts in development, here and in the States — both for himself, and others. He also returned to the director's chair for episodes of Spartacus.